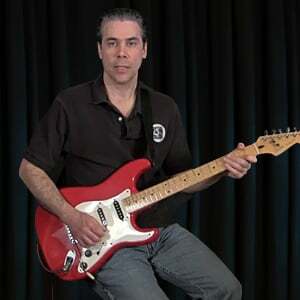 In this lesson we jump right in to using the A minor pentatonic scale with the flat 5th scale degree, the "blue note". 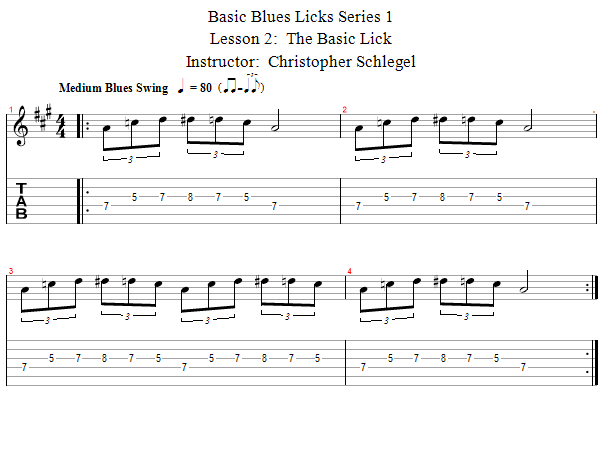 This is a very typical blues lick that forms the basis of many other blues licks and whole solos. The rhythm is eighth note triplets. The notes are phrased (meaning rhythmically spaced in time) so that the lick can be played over and again in a repeating loop.